Had a few en primeur bottles over the last 10 years that have been corked or that are really not right. What is the policy on this ? Is it just part of the risk ? 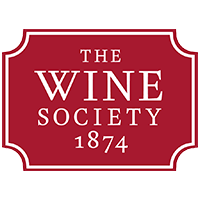 I don’t want to the cost to be picked the the wine soc so have never complained. The wine that prompted this is Macon village Andre Bonhomme 2016 batch L40818. Regardless of how you bought the wine from us, our Society’s Promise applies! So I wouldn’t hesitate to report any corked bottles to Member Services so they can resolve this for you. A few years. ago, we had a bottle of Chambertin for Christmas that was bought EP by my Dad, before he died. It was corked, but my sister, who inherited his share, reported it, and got credit on her account. So TWS is really very good at honouring its commitments in this regard. I had a bottle of en primeur Rhone at Christmas 2017 which was corked and refund credited to my account promptly after reporting it. I was asked to let WS know if there were any problems with subsequent bottles. So far one other opened and it was lovely. A couple of years ago we had a whole case of white Burgundy returned that had various levels of oxidation - the producer didn’t use Diam corks which is why Toby is always pushing for producers to use them. The wines weren’t corked but needless to say the member was credited! Just made a fascinating bit of training for us when you see an identical case of wine with the wine being various different colours! As mentioned, we stand behind the Society’s promise - its a promise after all. I don’t think I have ever returned a bottle on the basis of cork taint (I mean purchased at retail, restaurants are a different matter since my view in that case is that the margin they make includes an allowance for such matters). I guess this is partly laziness on my part, part due to the fact I tend to keep the wine quite a while after purchasing (I like them with age mostly) and also a concern that the financial burden seldom ends up with the ultimate party at fault (the cork manufacturer overwhelmingly - though before someone says I know there are other sources). I do accept that my approach would never have driven the very obvious improvement these days in the frequency of cork taint. Same goes for premox- and I’ve suffered far more losses that way than from TCA taint - again mostly because I tend to age my wine and then I view it as my fault. The only exception is when the Society replaced a half case of GC Chablis before I had even withdrawn it ! the producer didn’t use Diam corks which is why Toby is always pushing for producers to use them. That’s interesting to hear. I made an effort this year to buy white burgundy under DIAM as far as possible. Especially for anything higher end that needs a fair few years.